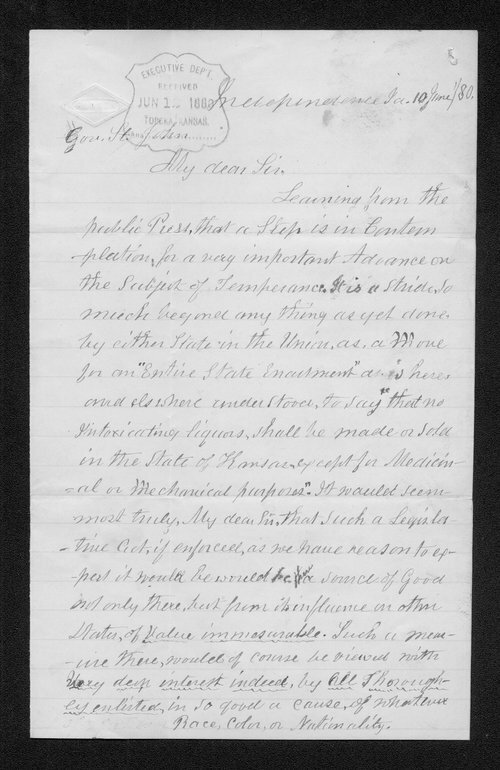 This is a letter to Kansas Governor St. John from F. W. White of Independence, Iowa. White lauds the Governor's efforts to pass a prohibition amendment and also offers an interesting perspective on women suffrage. White is convinced that allowing women to vote for the amendment would assure passage.